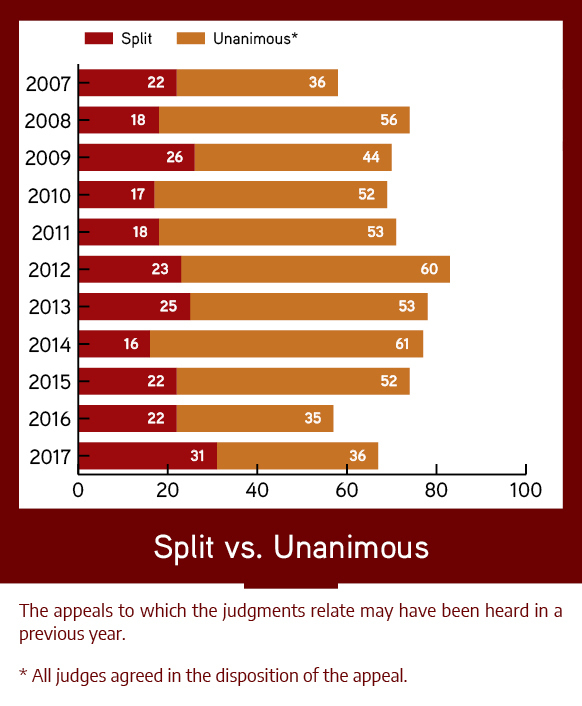 The appeals to which the judgments relate may have been heard in a previous year. 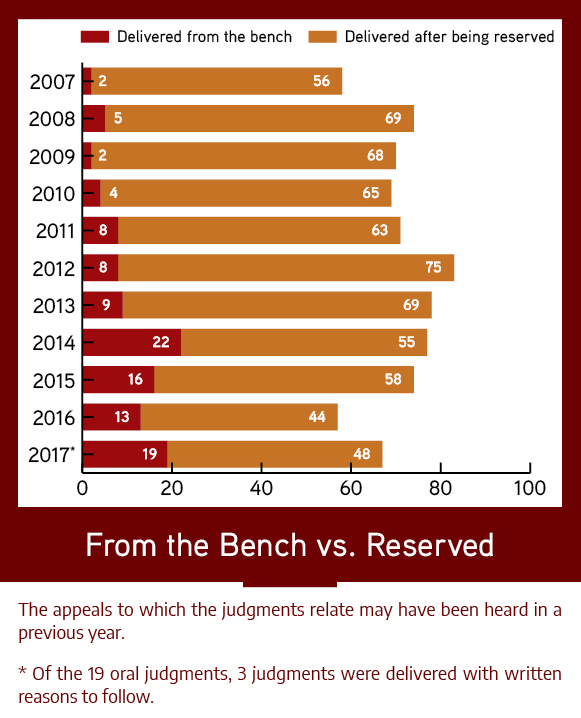 Opinions on references under s. 53 of the Supreme Court Act are not included. 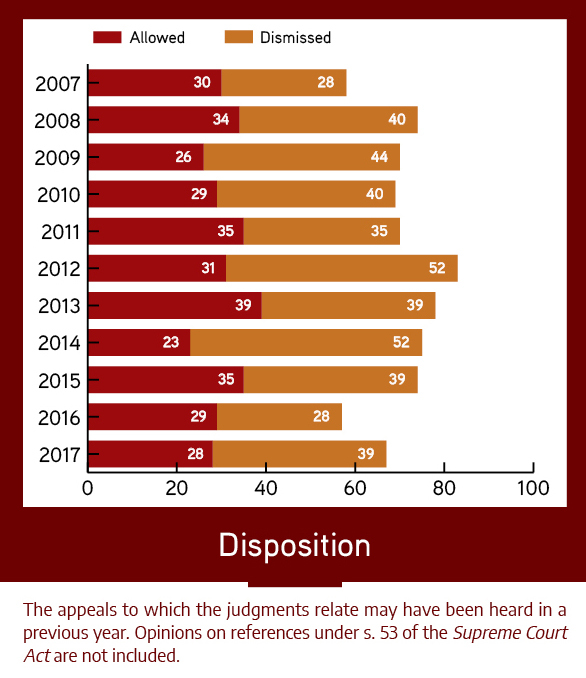 The appeals to which the judgments relate may have been heard in a previous year. * Of the 19 oral judgments, 3 judgments were delivered with written reasons to follow. * All judges agreed in the disposition of the appeal. 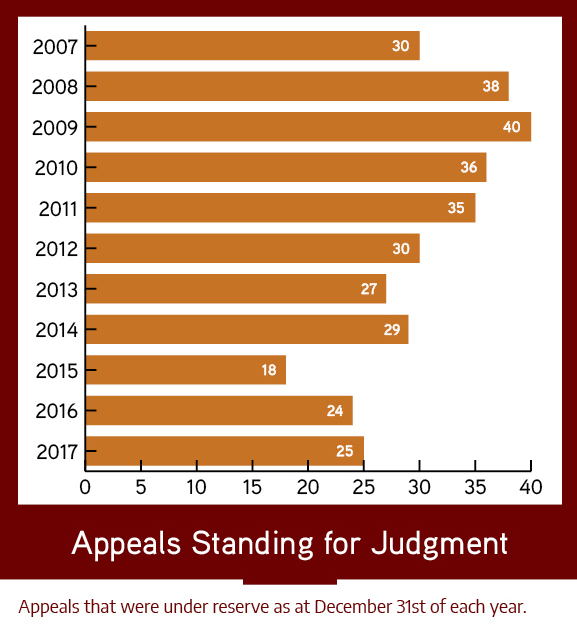 Appeals that were under reserve as at December 31st of each year.